stitching on small leather goods and difficultly accessible or tubular workpieces. A special feature of the 669 is its ability to bind the material edge with low tension. For this operation the bottom feed stroke can be deactivated by just a few steps which enables an optimum feeding movement. Sewing equipment especially adapted to this sewing operation allows a precise binding result combined with maximum productivity and quality. Due to outstanding performance parameters the 669 ECO offers high functionality and flexibility – at an attractive price. 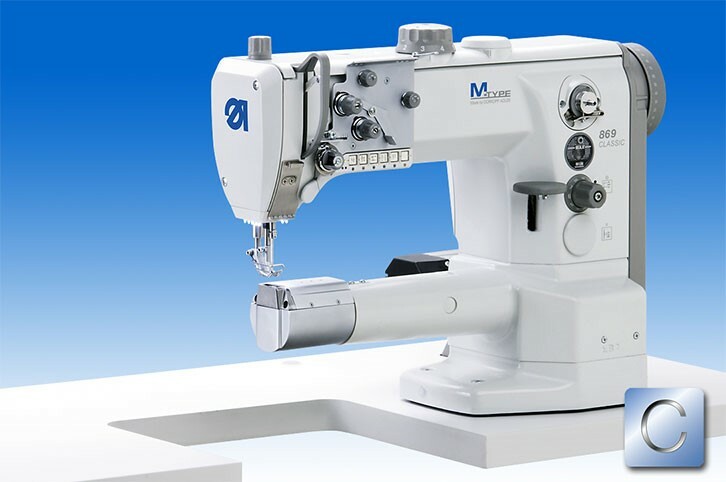 M-TYPE 869 CLASSIC Silverline – equipped with automatic basic functions like thread trimmer, automatic sewing foot lift and automatic backtacking. Special sewing tasks in three-dimensional or tubular workpieces in the field of technical textiles, shoes and leather goods, soft luggage and similar products make high demands on the operating means. 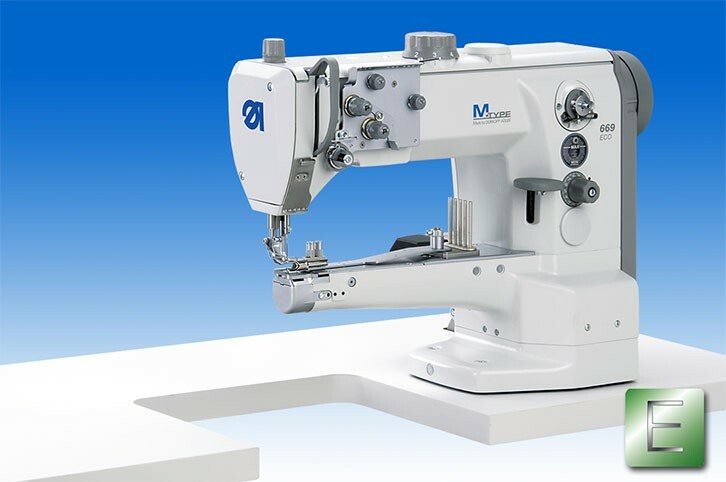 The single and twin needle cylinder arm machines class 869 with large vertical hooks, slim cylinder arm and the performance parameters typical for the M-TYPE are specially designed for these tasks. Heavyweight materials and sewing threads up to a thread size of Nm 10/3 can be processed with these machines without any problem. A special feature of the 869 is its ability to bind the material edge with low tension. For this operation the bottom feed stroke can be deactivated by just a few steps which enables an optimum feeding movement. 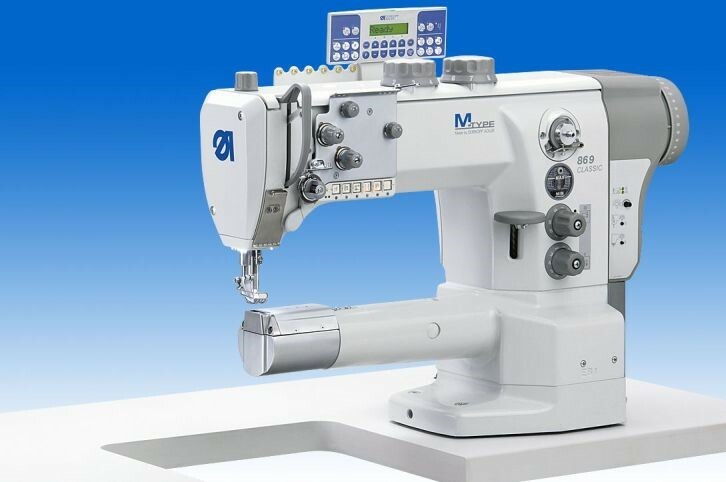 Sewing equipment especially adapted to this sewing operation allows a precise binding result combined with maximum productivity and quality.